Executive Summary: Ema is an experienced staffing industry executive and has focused on various segments of the recruitment, search and placement arenas.  As Founder & CEO of SEARCH Group Partners Inc., a premier, boutique recruiting firm , headquartered in Salt Lake City, UT, Ema oversees all day-to-day leadership activities including recruiting, sales, operations, on-site consulting, HR, acquisitions, executive search and strategic direction for the company. Experience: In addition to her leadership and entrepreneurial background, Ema possesses a deep understanding of the sales management and public relations components of business excellence. Prior to SGP, Ema served as a Managing Director within Robert Half International’s Executive, Retained search division. Specializing in senior level and C-suite retained searches across multiple industry sectors, throughout the United States and internationally. She is particularly adept at guiding upper management in the successful culmination of executive leadership type appointments within small to medium sized, growth oriented companies. Ema also has over three years of experience as a Division Director within Robert Half International, managing divisions in the Los Angeles and Salt Lake City Markets. Additionally, Ema served as a Regional Sales Manager at Select Staffing and was responsible for generating sales revenue and maximizing potential of assigned sales representatives across the United States, through effective leadership and mentoring. Ema is a relationship driven professional, who prides herself on being a true consultative partner to her clients. Ema has won both speaking and entrepreneurial awards, and has become an employment and human resources advisor for numerous media, television and publication outlets nationwide. Recently, Ema was named as 2017’s “CEO of the Year” by Utah Business Magazine. In 2015, she was honored as Utah’s “Forty under 40”. You may have also spotted her on the cover of Salt Lake Magazine recently. Additionally, Ema was awarded a Bronze Stevie® Award in the Young Female Entrepreneur of the Year category for Women in Business in 2014. Ema was also recognized by Utah Business Magazine as one of 2013’s “30 Women to Watch”. Ema excelled in both the academic and professional arenas—completing the Early College Program at Weber State University. Personal & Philanthropic Activities: Ema is a former ballerina and dance instructor with a passion for Ballet and The Arts and has held various board seats at Ballet West and SB Dance. Additionally, Ema dedicates significant time to various philanthropic organizations, transforming communities as a donor activist, philanthropic and advisor. A strong advocate for women in business, Ostarcevic specializes in recruiting women and placing them in executive and management positions; she is a frequent spokesperson for news outlets such as The Salt Lake Tribune on the subjects of equal pay and opportunities for women. Ema has also been featured in Forbes and Fast Company. Growing up in Croatia as a child, Ema had a bright pink suitcase that she carried around with her everywhere (always packed and ready to go) and has loved traveling ever since. When Ema’s not at the office, she’s typically on plane- happiest with a full suitcase and a boarding pass. After living in Croatia, Los Angeles and New York City, Ema now resides in Salt Lake City, UT with her fiancé, Ryan, their son, Alexander and their Mini American Eskimo, Duke (you can often find Duke hanging out at the office with Ema, as SGP is a dog friendly workplace). Industry Specialties: Ema’s areas of industry experience include Professional Services, Financial Services, Healthcare, Manufacturing and Distribution, Education, Consumer Packaged Goods, Non Profit, Marketing, Consulting, Professional Sports, Telecommunications and Technology. MODERNAE Article: Search Group Partners CEO featured in MODERNAE. How She Juggles Motherhood and the Corner Office. Bronze Stevie® Award Winner (2014) in the Young Female Entrepreneur of the Year category for Women in Business in 2014.